Fifteen pupils from Chudleigh Knighton Primary School became VIP visitors for the day at a new development of family homes, as part of a school project on homes, housing and construction. 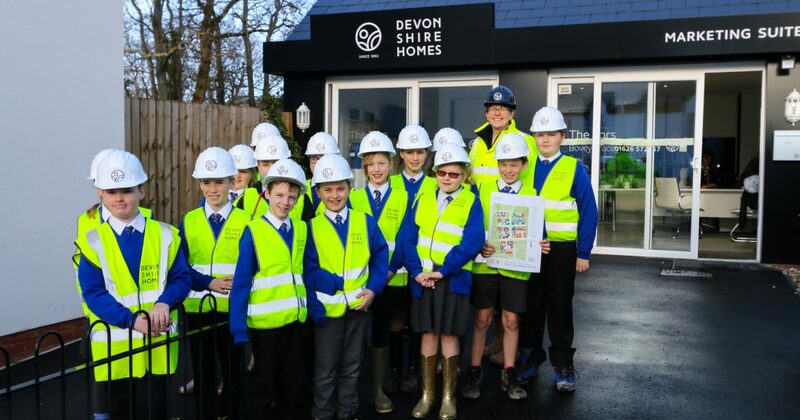 Children from Chudleigh Knighton Primary School visited Devonshire Homes’ popular Bovey Tracey development, The Tors, a collection of two, three, four and five bedroom homes located on the edge of Dartmoor National Park. Ten and eleven-year-olds from the nearby primary school were taken on a tour of the development by site manager, Frank Walsh and Sales Manager Diana Stowers, to find out how new homes are built, see construction in progress, as well as a look inside the show home. During the visit, children learnt how to be safe around construction sites. Frank and Diana highlighted to the children the dangers of using sites as playgrounds and why there are specific safety measures in place. The children also completed an exercise in naming all the trades and professions that are involved in building a house. 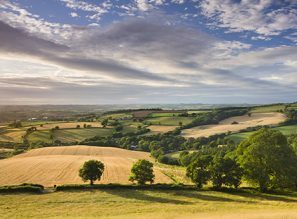 The Tors is located within easy reach of the English Riviera and Exeter. 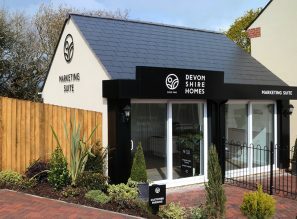 The town of Bovey Tracey is bustling, with a close-knit community and plenty of amenities as well as being conveniently close to the major commuter routes of the A38 and the M5. Prices currently start from £229,950 for a freehold two bedroom house.